the dreaded day... grocery day. we needed loads so it was a long trip, too... boooo. i love shopping so much that i keep trying to tell myself that food shopping is fun... it hasn't worked yet! if any of you guys shop at Safeway, you should definitely download their phone app... it has saved me so much money, $50 today :D it's definitely worth going through all the categories for available coupons! 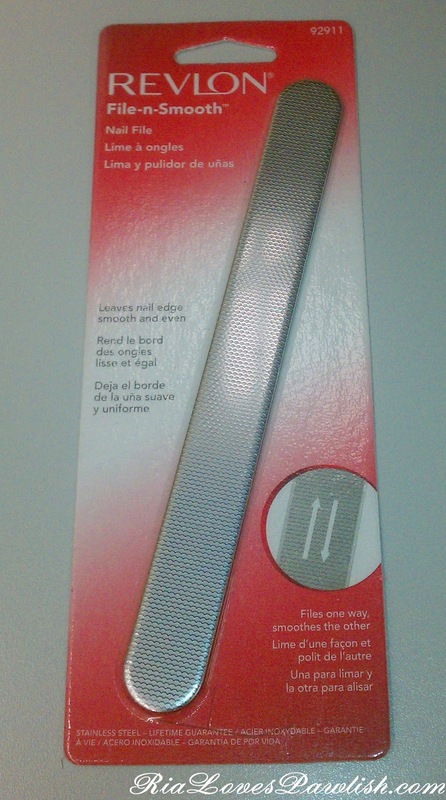 i really can't praise this file highly enough, it's an absolutely must in my nail arsenal! have any of you tried these? what do you think? you can find these many places where Revlon is sold, although not all Revlon retailers carry this particular tool! it sells for around $5.